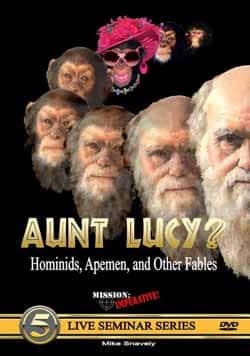 When we were set to watch the Return to Genesis, the first DVD in the Live Seminar Series from Mission Imperative, I had to listen to the usual groans about watching another homeschool DVD. However, everyone paid attention once it started! There was a lot more enthusiasm when it was time to watch the next one. Mike Snavely, author of the Creation or Evolution curriculum, is a very dynamic speaker and effectively uses photographs and charts in the Live Seminars. 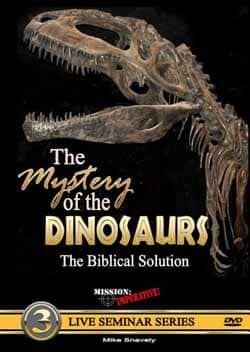 Combined with incredible animations, his knowledge of creation science, and his wonderful sense of humor, the Mission Imperative series is a cut above the rest. 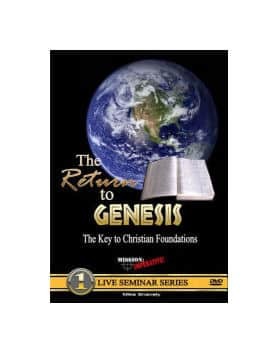 The Live Seminar DVDs give you a Biblical interpretation of creation and equip you with logical answers for those who question the Biblical view of creation science. 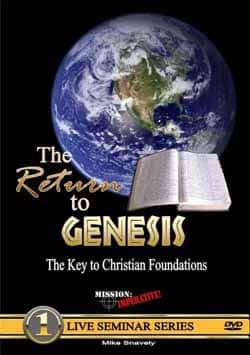 Return to Genesis lays the foundation for the rest of the series. 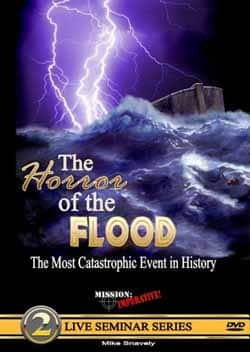 In The Horror of the Flood DVD, Biblical information about the flood is presented with scientific answers to typical questions about the flood. The animations of the continental plates in relation to the Genesis flood and its aftermath were very informative–now I understand how the water came up from the ground during the flood as the Bible says. Having worked in South Africa for the National Parks Service in the world-famous Kruger Park, Mr. Snavely brings his experience with reptiles to the Mystery of the Dinosaurs DVD. 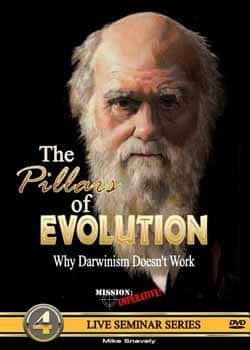 His common sense approach and scientific knowledge of reptiles and dinosaurs shed light on many myths about dinosaurs. It’s an amazing video. The Live Seminar Series is suitable for the entire family. It is great for presentation at Sunday school, homeschool meetings, Christian schools, and other church groups. 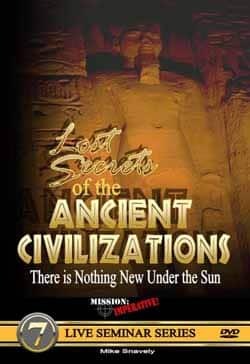 There are three more DVDs from Mission Imperative: Aunt Lucy DVD, Hunters and the Hunted DVD, and Lost Secrets of Ancient Civilizations DVD. 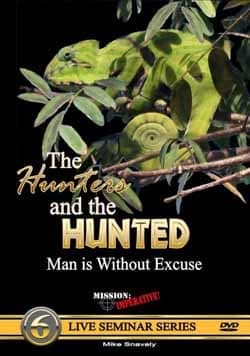 Hunters and the Hunted explores intelligent design. It’s informative and entertaining. These DVDs just keep getting better. 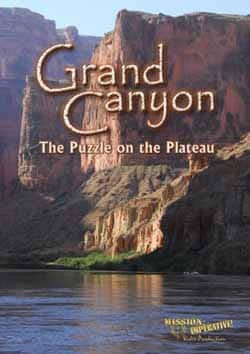 The latest DVD by Mike Snavely explains how the Grand Canyon was formed from a Creation Science perspective. I think this his best DVD so far. There is a bonus documentary of his trip down the Colorado River which was as interesting and educational as the main feature. If you are interested in contacting Mission Imperative which is a non-profit organization that exists to give God His rightful glory in creation, here’s the link: Nature of Creation-Mission Imperative.